I’m going to stay with the “Not Your Dad’s VCDX” theme a little longer here. I actually started this post before Julie wrote her guest post, so the interesting thing is we think along the same lines. Back when I was a young boy, twenty-five plus years ago, in high school I was not much into sports. I rarely worked out and I spend a lot of time alone. I can honestly tell you in four years of high school I never once sat or set foot in the cafeteria. I ate my lunch in the Drafting Room of which I was a student. Yes, believe it or not I wanted always to be an Architect. I know it sounds a little George Costanza. In fact I went to college for three years studied architecture and hold a degree in Architectural Engineering. Most people don’t even know that I can read a real set of blueprints for a house or building and understand them completely and even envision the space that will be created. But I digress, back to my “this is not a team sport” and keep things light and entertaining on a Friday morning. In my junior year, the high school decided to start a wrestling team. I thought to myself this is an interesting sport. It’s what’s known as an “Individual Team Sport”. Wait, that’s a contradiction in terms right? Well if you are not familiar with the concept I’ll explain. What it means is you compete as an individual, but the team can get points during the meet based on each individual’s performance. It also translates up to the championships. The team can win a championship only if the individuals to. Basically the team is just dragged along based on the individual’s performance. So how does this translate? Well as Julie so eloquently pointed out….YOU get that VCDX number, not the team or group of people that help you. Your company in effect can substitute as the team in part of this comparison since they can take advantage of you holding that certification. They can market it to their customers that they how a VCDX on staff. What makes the sport reference also similar though is your team can prepare you. For six days during the week before a meet SOME of them, not all of them, basically beat the crap out of you. The more senior, and stronger guys above your weight class, pummel you to get you ready. I will say again, not everyone helps you out, they don’t have to it’s not everyone’s job to prepare you. It was only the job of those who wanted to help and see you succeed. Nobody was told they HAD to help you out, some just took on the challenge and the responsibility. This is the same here with the community. Regardless of the calls to rally others to help, they are not in fact obligated to give back. I hate to be the person who always speaks without sugar-coating things, but it’s true. It’s a personal choice for many to help you out regardless of what the rules might dictate. In a wrestling match your team is there to support you from the sidelines, but unlike football, soccer, or other sports, they can do nothing to help you come game day. They are not on the field with you. You step out onto a mat with one other person, like martial arts or boxing for that matter. I cannot speak to those I never did them so my reference point stays wrestling. For three two-minute periods you stand alone, under a single light in front of everyone watching. Interesting now isn’t it, for three sections of your defense…..you stand alone….with the panel staring at you…….interesting parallel no? Your team can do nothing but watch and wait to see the final outcome. If you freeze up and panic, nobody can help you, you are truly on your own to defend yourself against the onslaught coming at you. 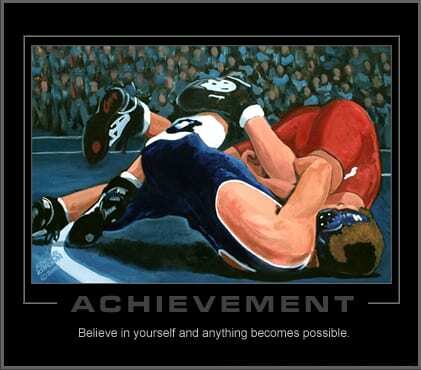 So did being a high school wrestler help me pass my defense on the first try? Who knows, maybe part of that life experience surely did, along with understanding “Architecture” as it relates to houses/buildings. I could write a whole different article on how Architecture, regardless if in a data center or a house is the same methodology and mentality. You gather requirements you design to meet them. Might be storage iOPS, might be wind conditions and structural loads. So in my life I guess my life experiences did shape my abilities as an architect. I never studied TOGAF, or anything else….but I guess because I went to school for Architecture it did in fact help.